One of our favorite quick, easy, family friendly, budget dinners is Pork with BBQ Sauce. My husband and I first started making this when our oldest was just a baby. Back then, we could but a couple of small pork steaks for just around $2. 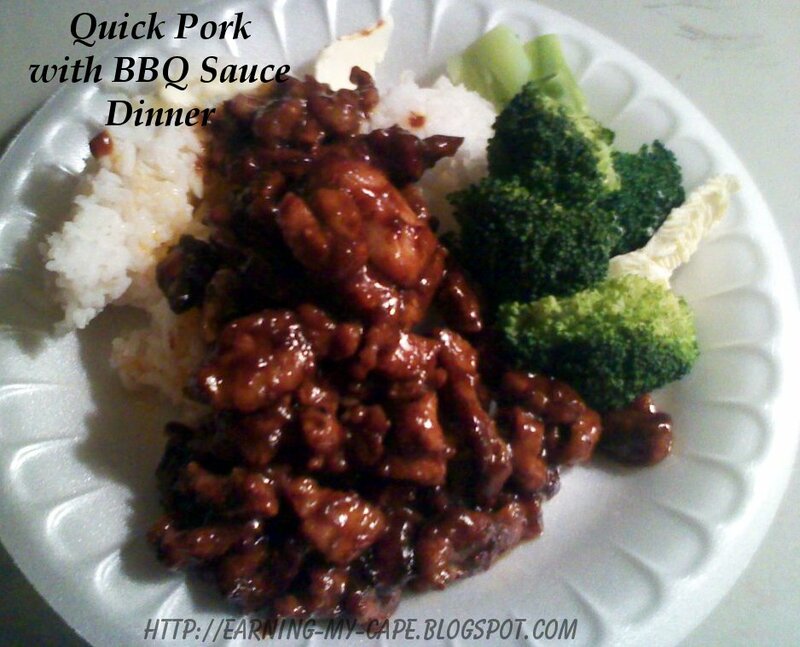 A 2 lb bag of rice was only a dollar, and the bottle of cheap BBQ sauce was about 60 cents! Spend another dollar on some veggies, and that's a cheap dinner! Back then, the bottle of bbq sauce lasted 2 meals, and the bag of rice lasted us at least 2 weeks! We're talking budget, here! Over the years, our family has gown, and prices have gone up. This meal remains a favorite... I just make more of it! I'll share how I make it, but I'll warn you.... it makes a LOT! 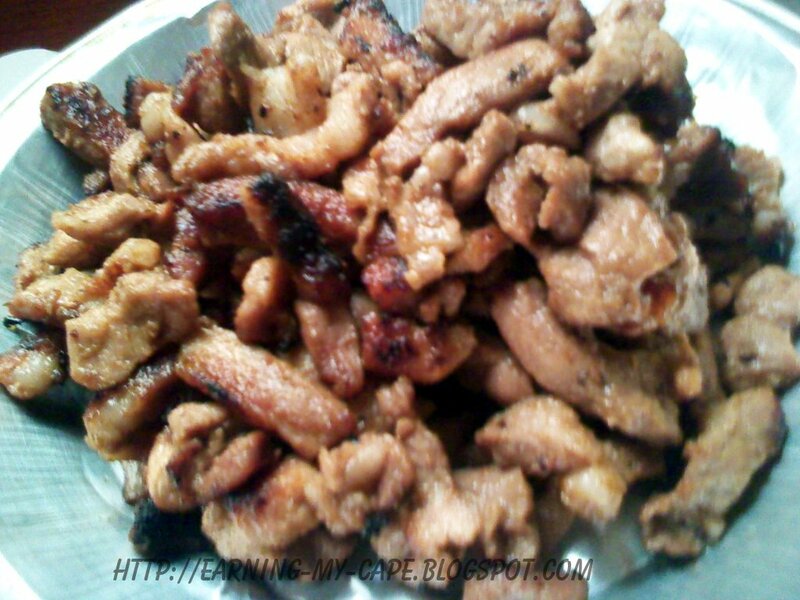 Just scale it down (or up) to your family size by adjusting the amount of pork that your family would typically eat. Keep in mind, the leftovers are awesome... jut sayin'. Sprinkle your spices over the pork strips. Not too much... just eyeball it. Next, pour a small amount of BBQ sauce (1-4 TB, depending on how much meat you are using) on the meat, and mix it in. You can marinade this overnight or all day, if you want to. I usually just do it right before cooking. Heat oil in skillet until hot. 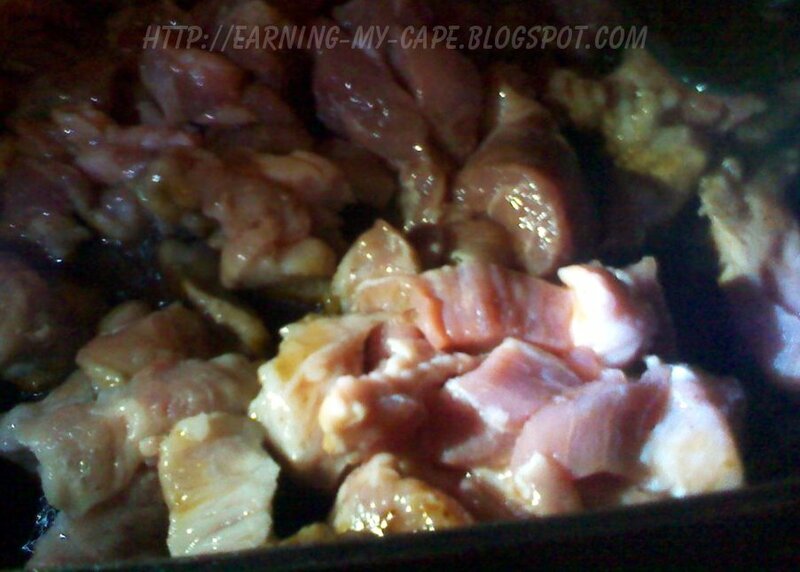 Cook the meat (in batches, if necessary), in medium-high heat, until cooked through. Next, add the BBQ sauce to the pork, again just eyeball it and add enough to your taste, and give it an extra "fry", in the pan. Serve over steamed rice- here's my microwave directions for rice- and a steamed veggie. What is your favorite bottled BBQ sauce? Do you make yours homemade? If so, and you have a link to the recipe, I'd love for you to share! Just leave a comment.